Obituary for Rev. Howard A. Kuhns, C.S.C. | Kaniewski Funeral Homes, Inc.
Rev. Howard A. Kuhns, C.S.C. NOTRE DAME, Ind. – Rev. Howard August Kuhns, C.S.C., 100, died at Holy Cross House, Notre Dame, Ind., on Thursday, September 13, 2018. Fr. Kuhns was born on March 11, 1918, in Canton, Ohio, to Norman J. and Wilda Leslie Kuhns. He was a 1936 graduate of St. John High School. He was received into the Congregation of Holy Cross on Aug. 15, 1937, and made his First Profession of Vows on Feb. 2, 1939. He graduated from the University of Notre Dame in 1942 with a Bachelor's Degree in Philosophy and made his Final Profession on Aug. 16, 1942. Fr. Kuhns studied theology at Holy Cross College, Washington, D.C., from 1942 to 1946. He was ordained on June 24, 1946, at the University of Notre Dame, Notre Dame, Ind. Fr. Kuhns received his Master's in history from the University of Notre Dame in 1948. 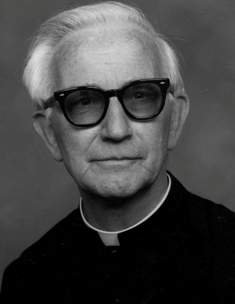 He attended the University of Minnesota from 1948 to 1951 and then was assigned to teach liturgy and Church history at Holy Cross College in 1951. He earned a doctorate in history from Georgetown University in June 1959. Fr. Kuhns returned to Notre Dame in 1962, teaching history and prefecting in the residence halls. From 1969 until 1974, he was chaplain for the Holy Cross Brothers at James Hall until he was assigned as assistant pastor at St. Casimir's Parish in South Bend, Ind. In 1978, he was made pastor and remained there until the autumn of 1987, when he moved to Casa Santa Cruz in Phoenix, where he kept busy assisting at local parishes on the weekends and serving as the house archivist. He was named administrator of St. Michael's Parish in Gila Bend, Ariz., where he ministered to a mostly Hispanic and Native American congregation from 1996 to 2001. He remained at Casa Santa Cruz in Phoenix until 2011, when he moved to Holy Cross House in Notre Dame, Ind. Preceding him in death are his parents, Norman and Wilda Kuhns. Visitation will be from 3:30 to 7:30 p.m. on Monday, September 17, 2018 at Moreau Seminary, Notre Dame, Ind., where there will be a Wake Service at 7:30 p.m. The Funeral Mass will be at the Basilica of the Sacred Heart on the Notre Dame campus on Tuesday, September 18, 2018 at 3:30 p.m. Burial will be in the community cemetery at Notre Dame. Kaniewski Funeral Home, South Bend, is in charge of the arrangements. 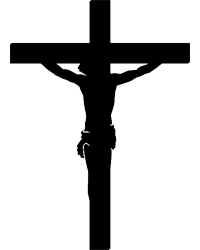 Memorial contributions in support of the mission and ministries of the Congregation of Holy Cross can be made to: United States Province of Priests and Brothers, Office of Development, P.O. Box 765, Notre Dame, IN 46556-0765 or online at donate.holycrossusa.org.